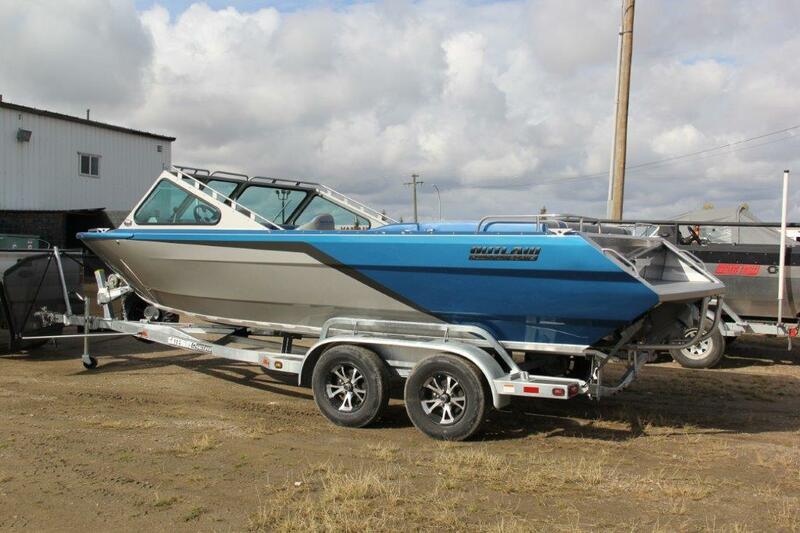 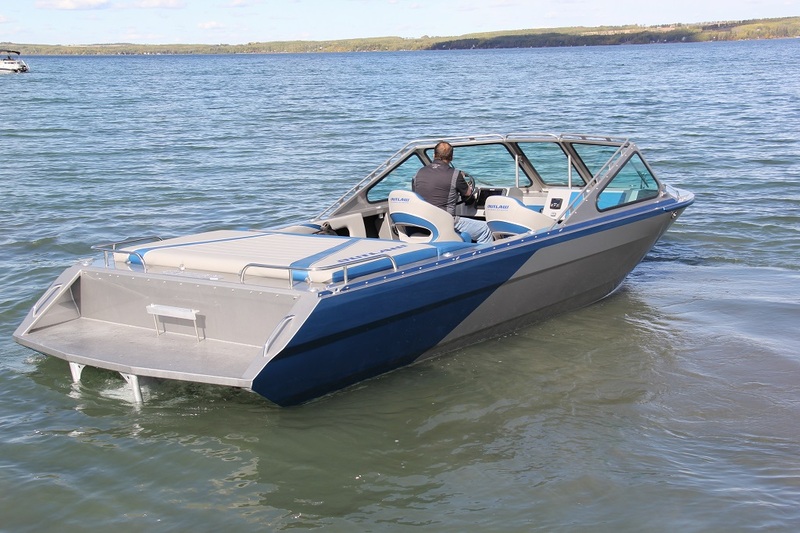 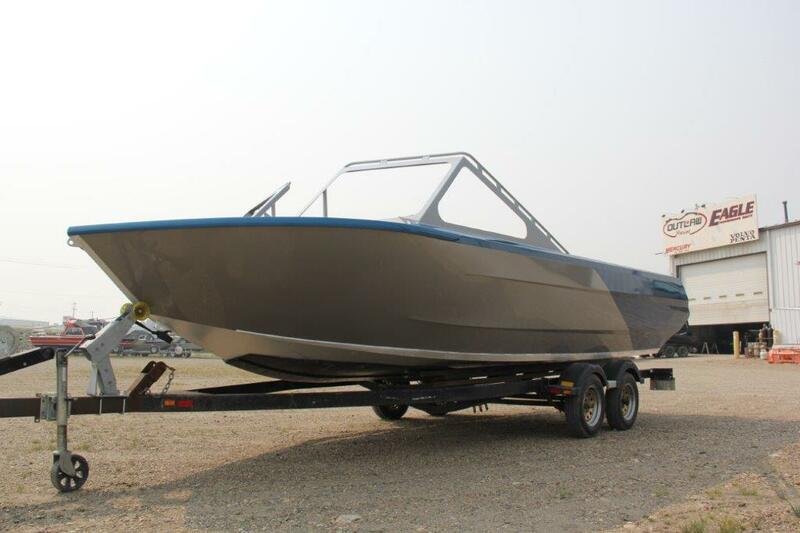 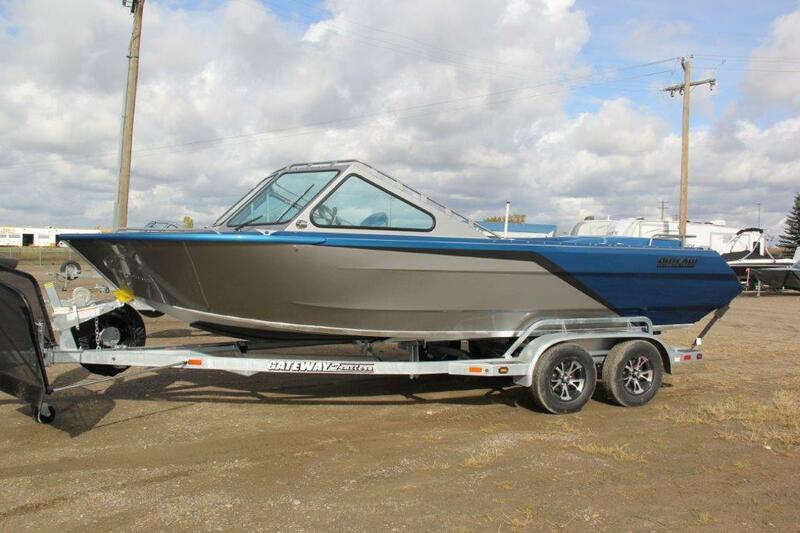 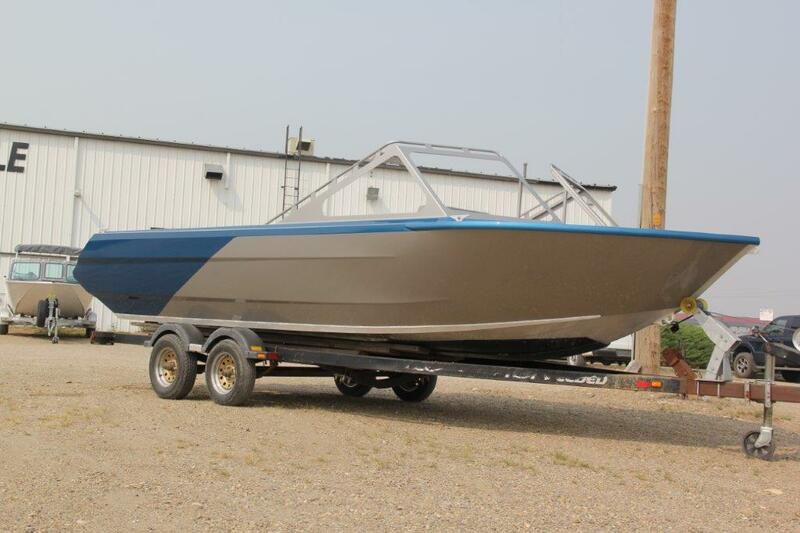 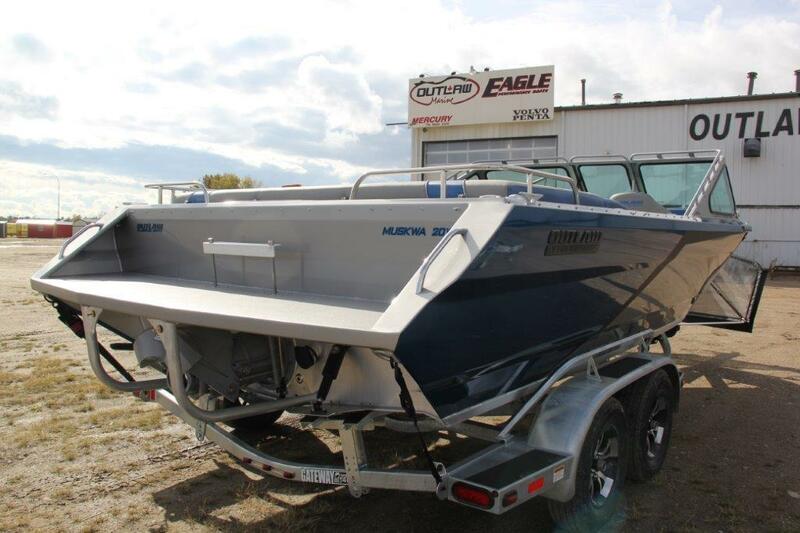 Redline Powercrraft loves the new wide body Muskwa's so much, they sold out and need another! 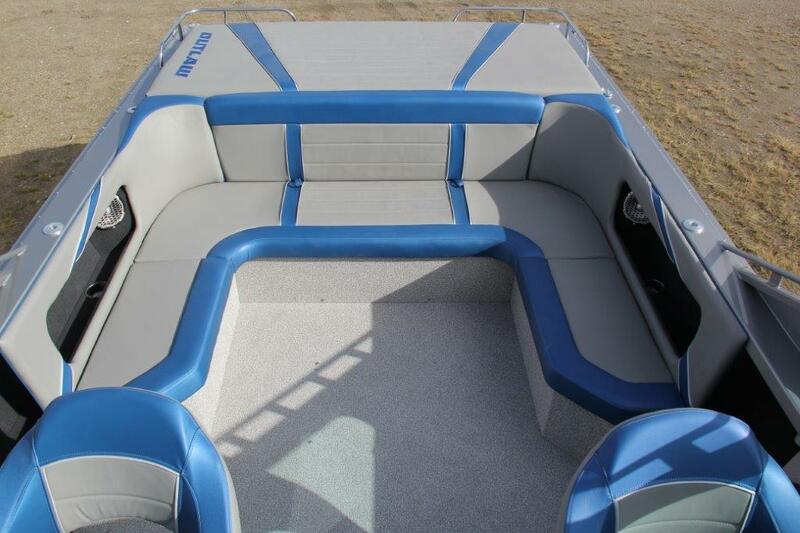 With an 84" bottom you can carry anything and navigate super shallow water with ease. 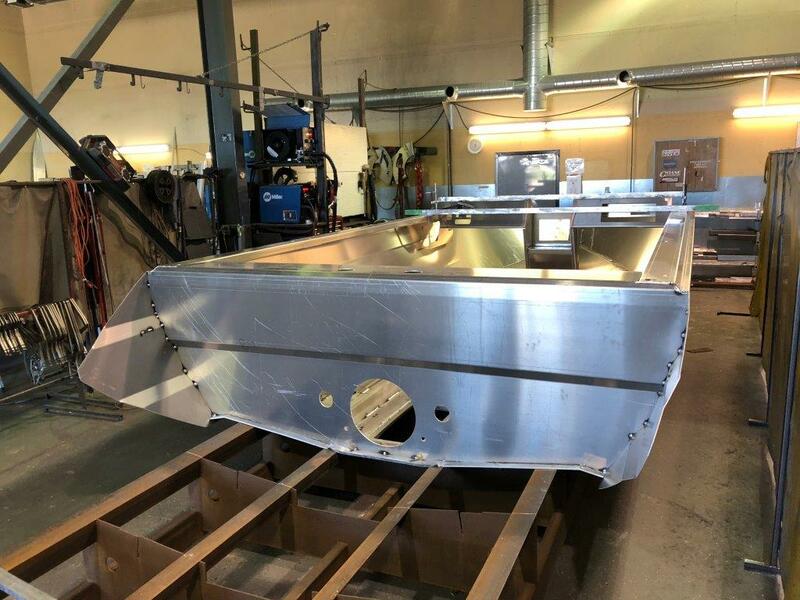 How much do he new wide body models draft? 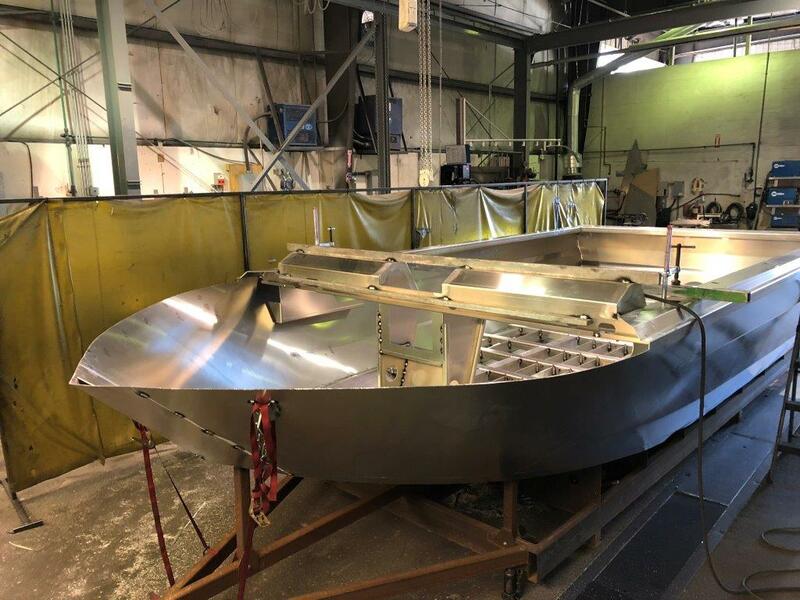 What is the minimum planning speed? 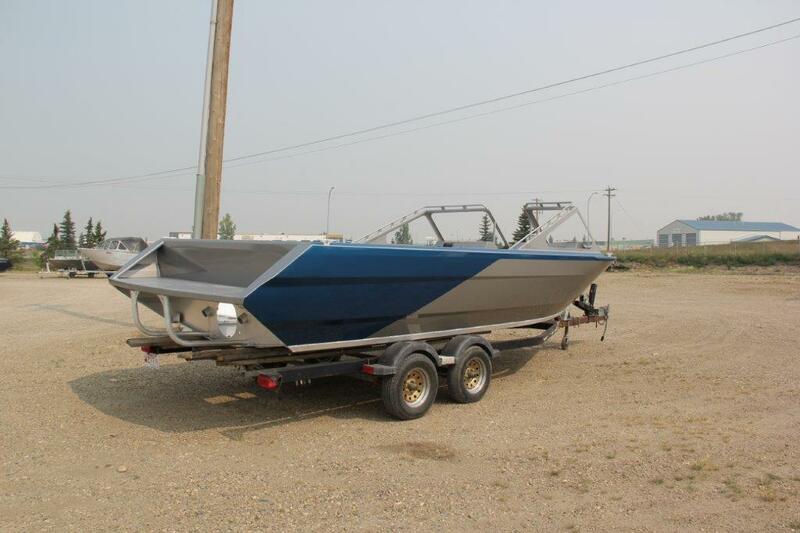 WOT speed? 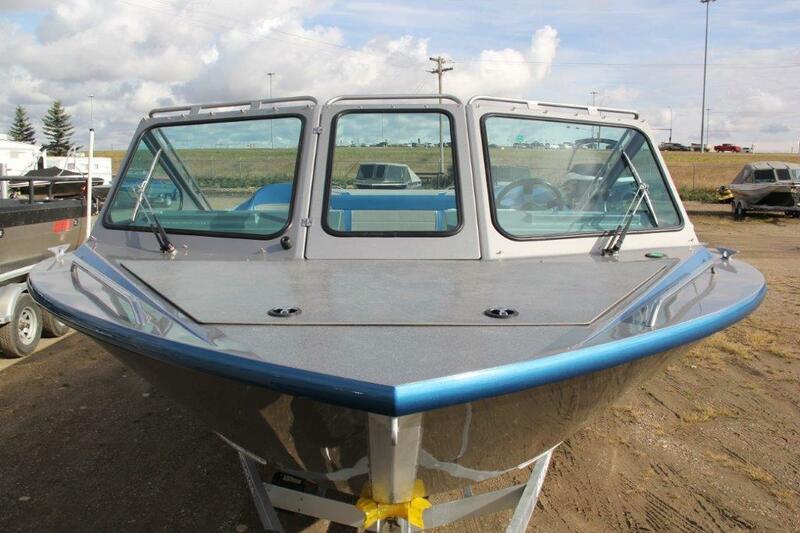 The wider bottom is most noticeable when planing at low speed. 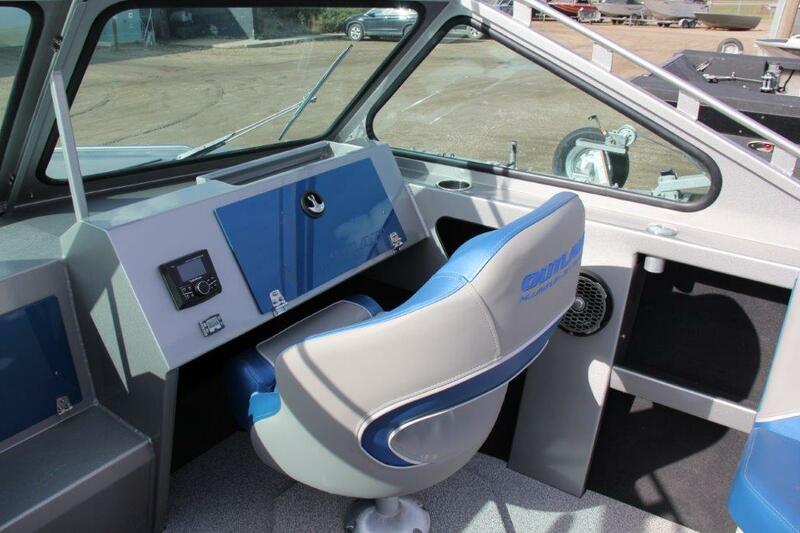 It does not take much power to cruise. 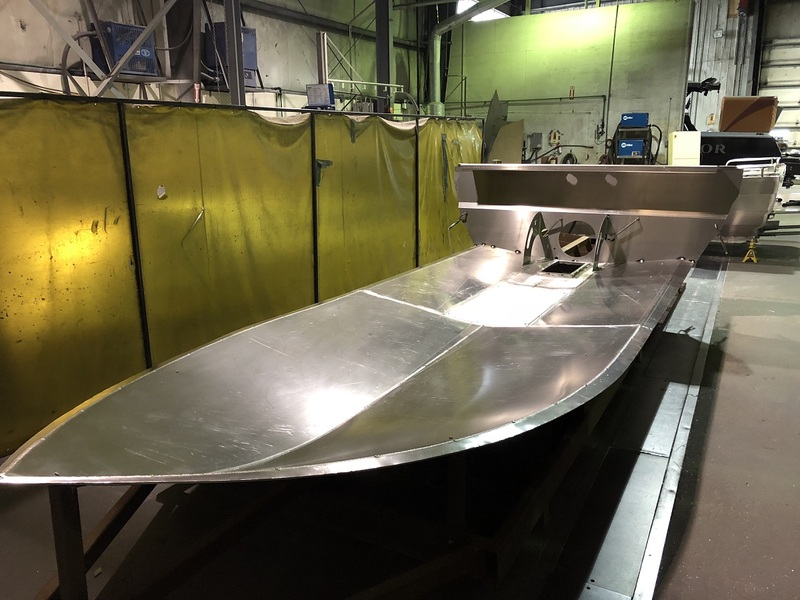 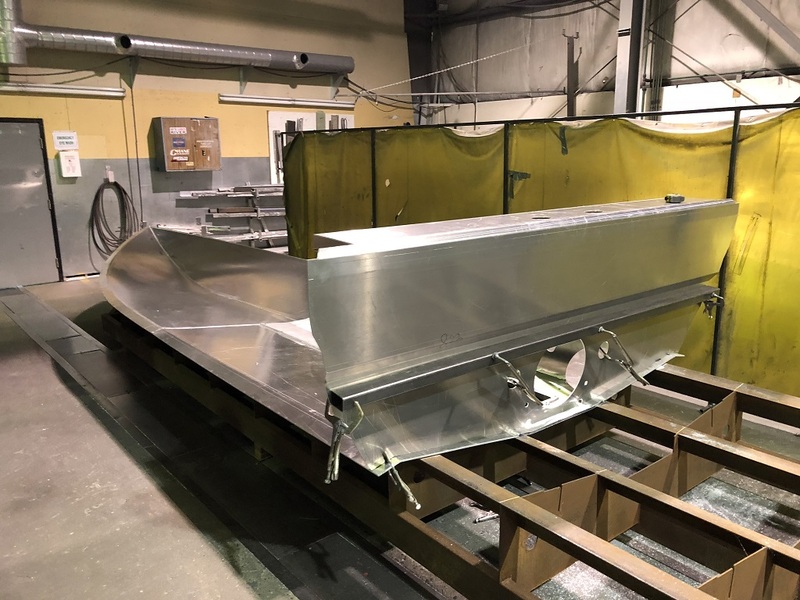 The 2019 Outlaw Wide Body being built for Red-Line Power Craft is fresh out of paint and next in line for rigging. 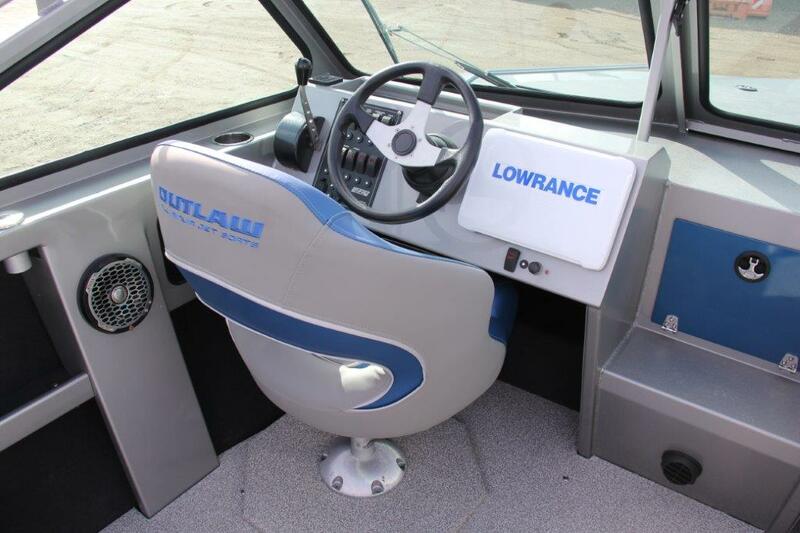 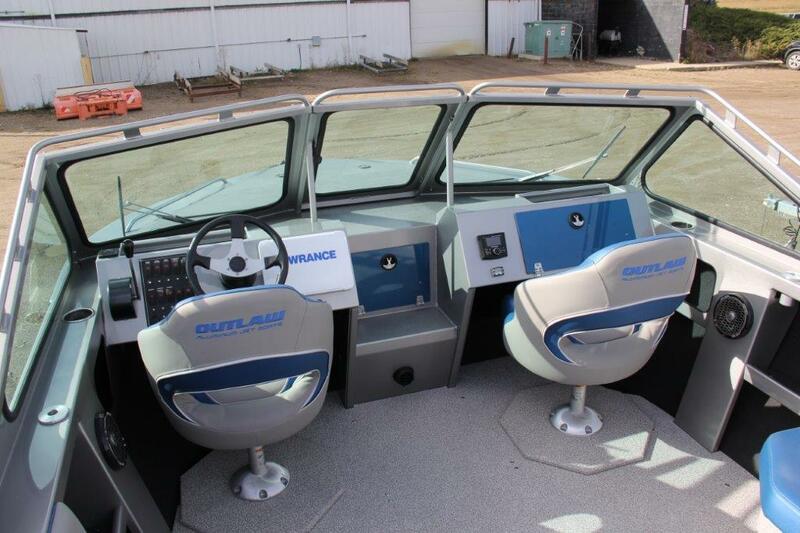 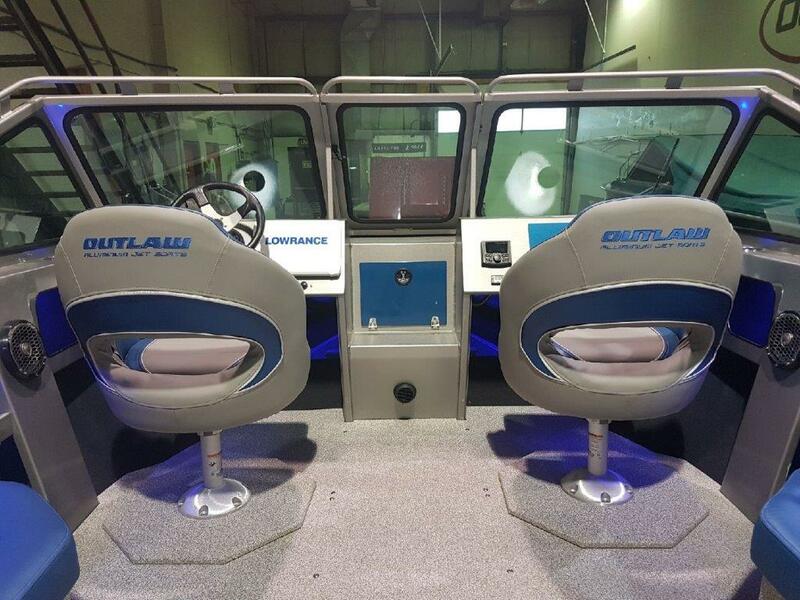 🔥Dual wipers, Welded cleats, Dual batteries, Electric trim tabs, Lowrance full screen gauge display, Wash down kit, and so much more. 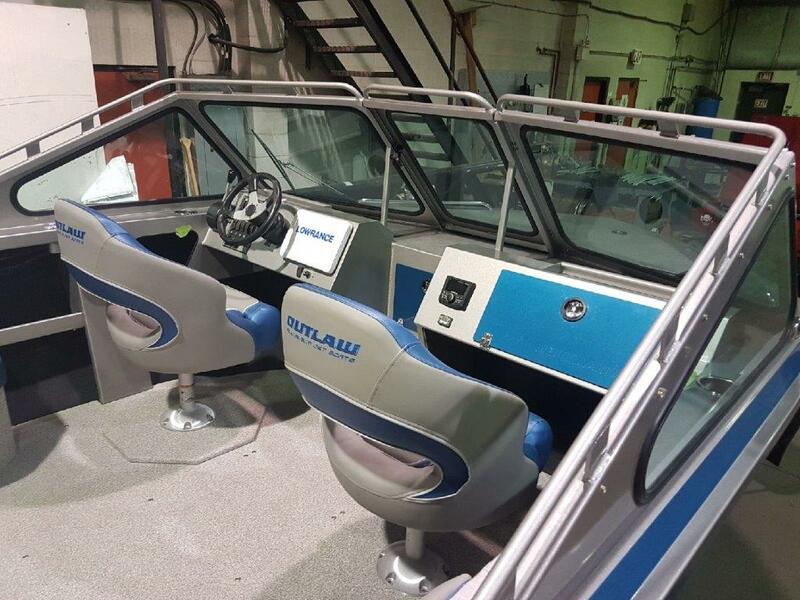 Water testing is right around the corner. 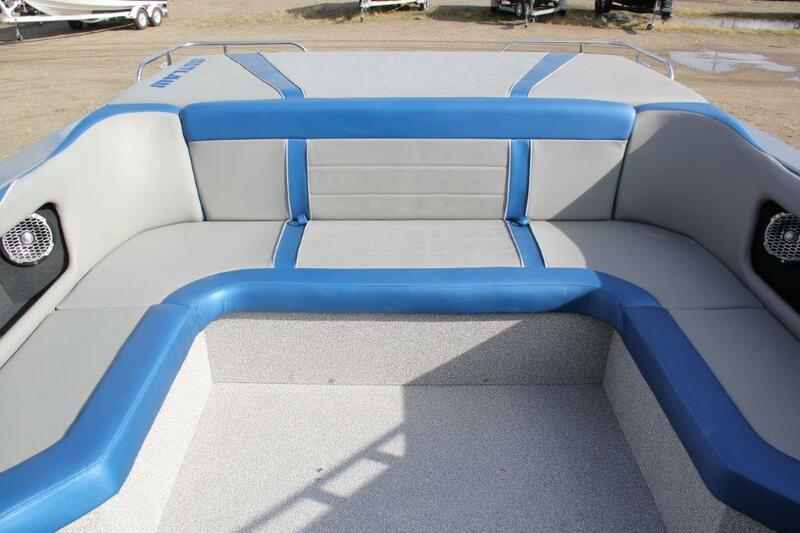 Upholstery is placed with just a few rigging items and decals left to complete. 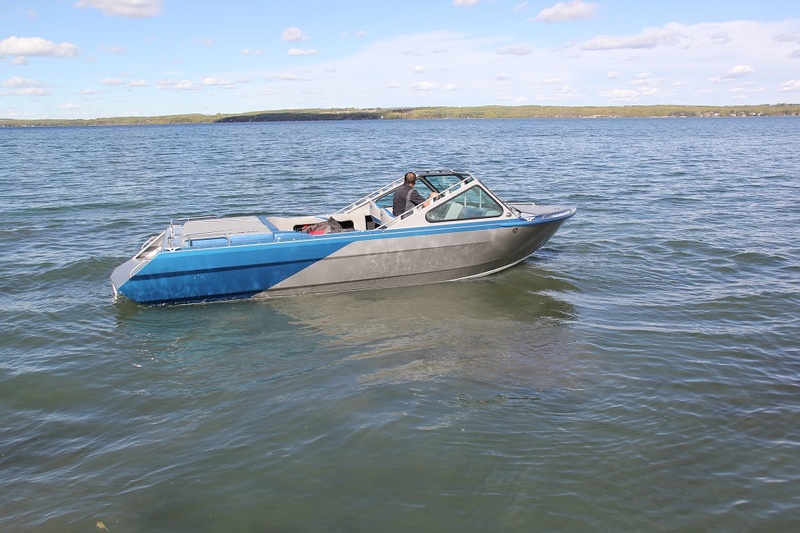 It's been Muskwa Week at Outlaw Eagle. 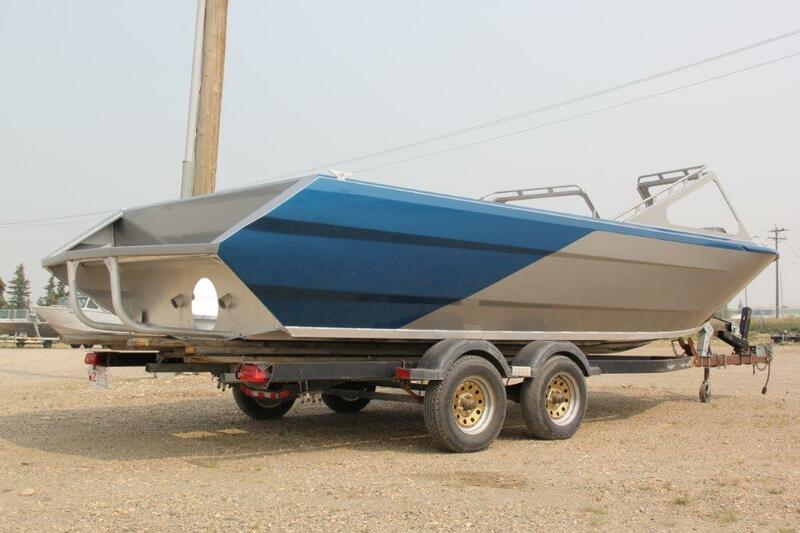 The 2019 Outlaw Muskwa Wide Body has been decaled and getting shipped to it's final destination. 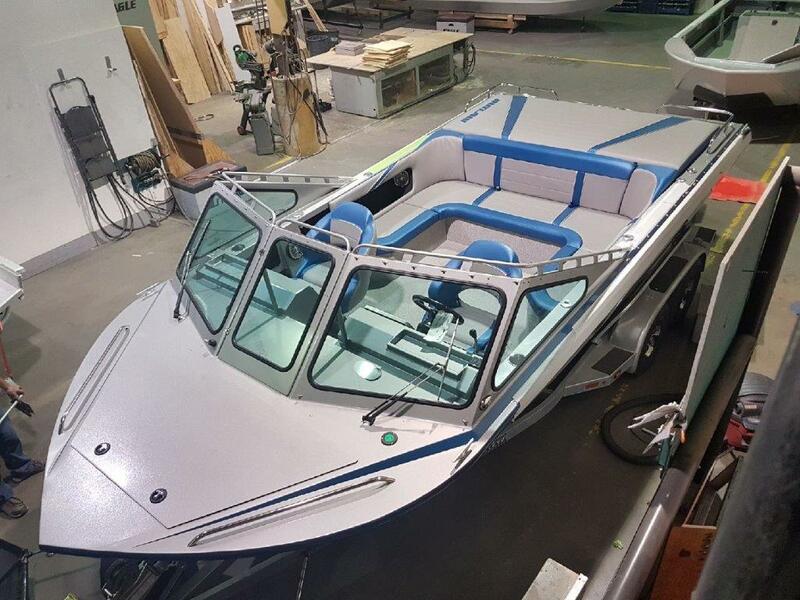 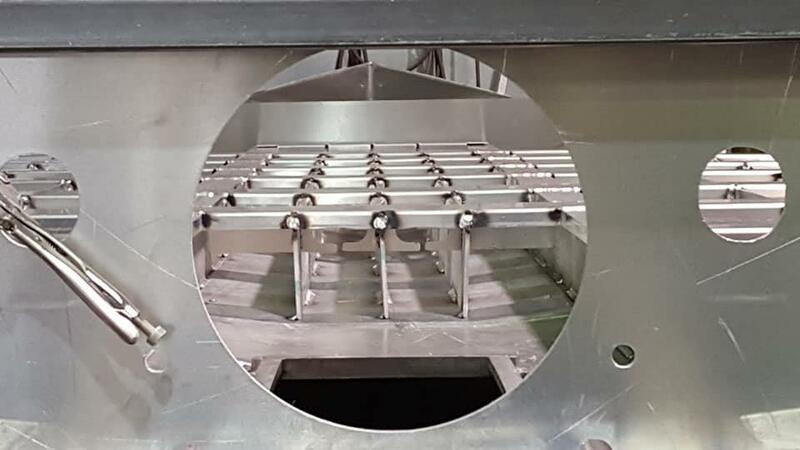 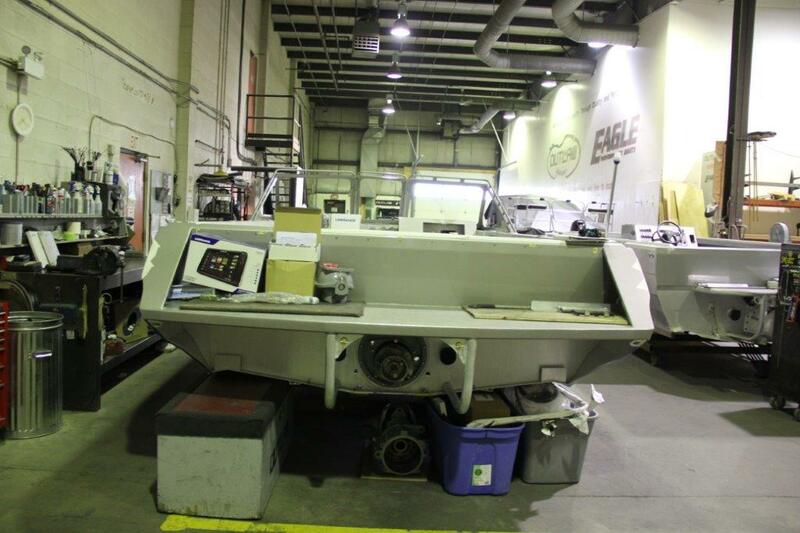 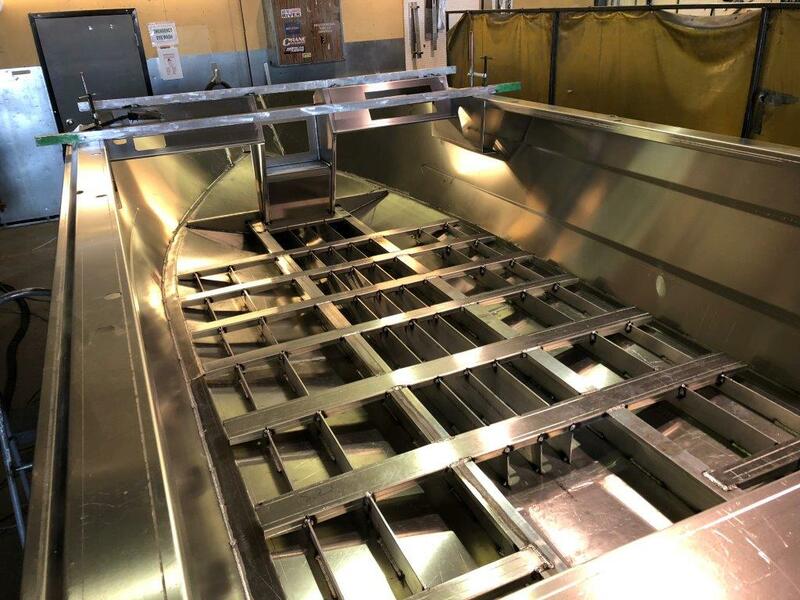 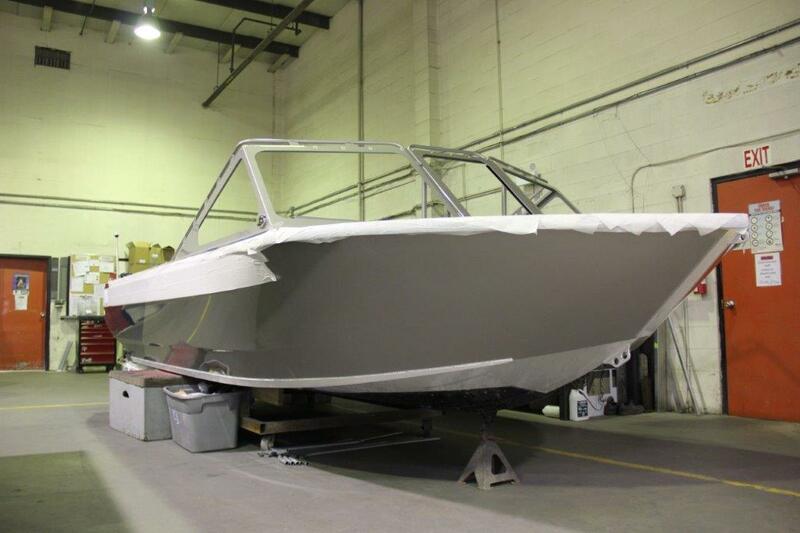 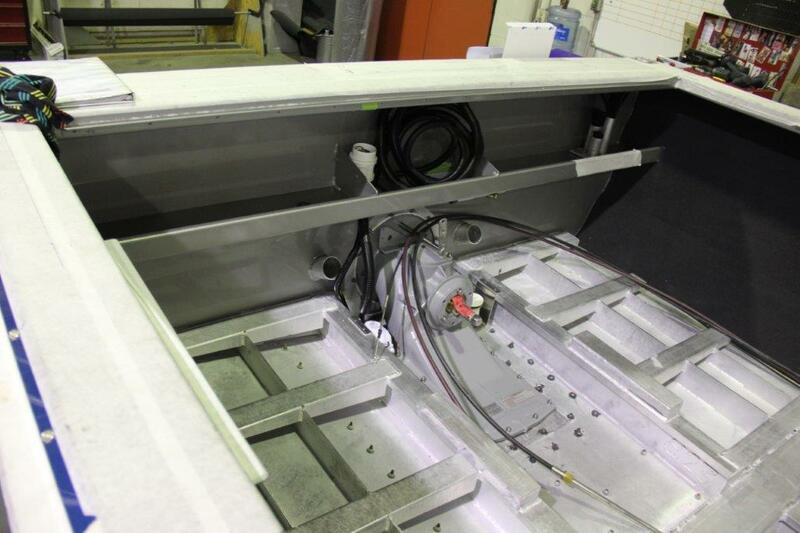 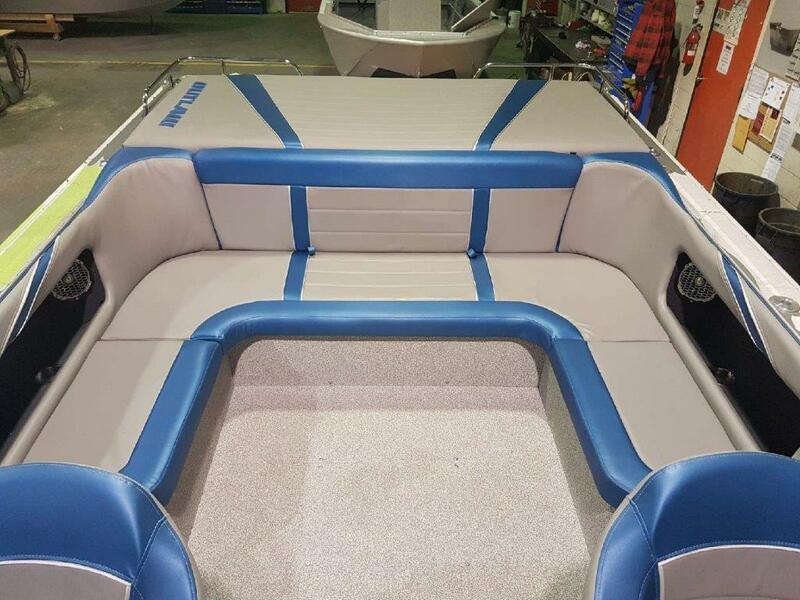 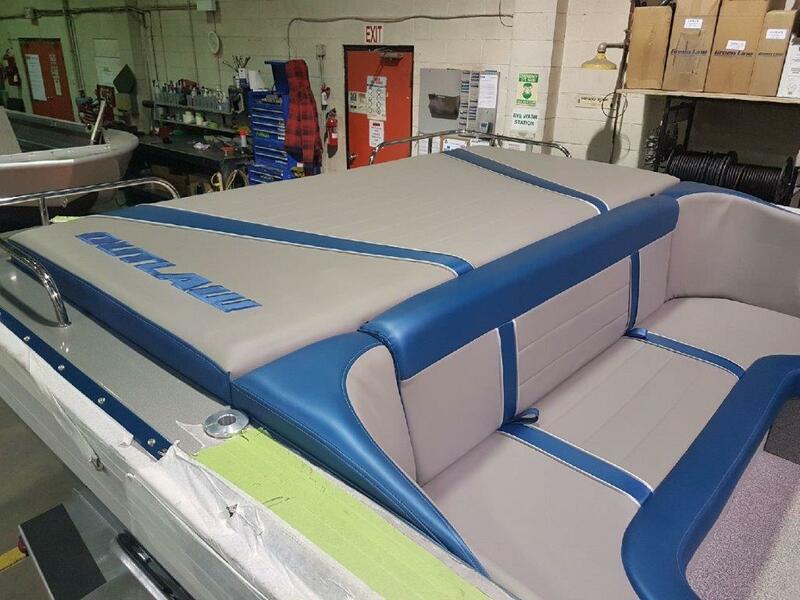 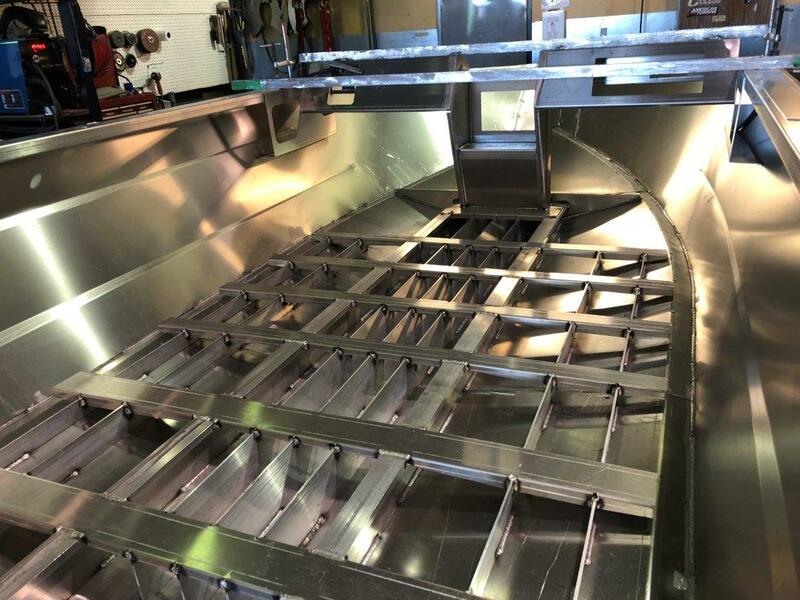 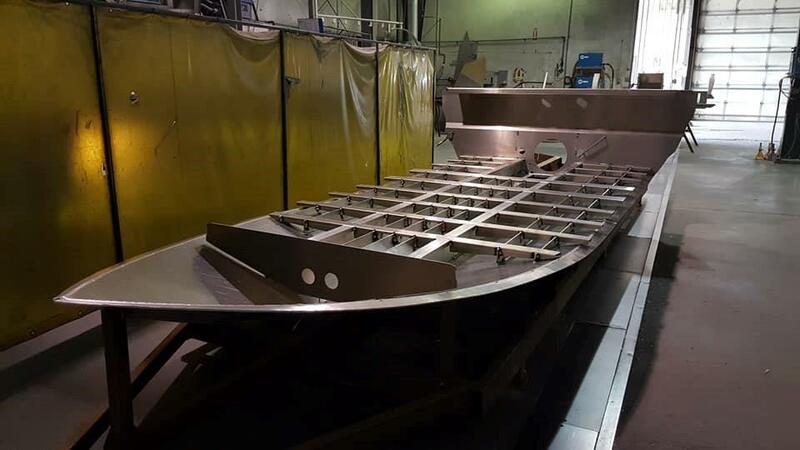 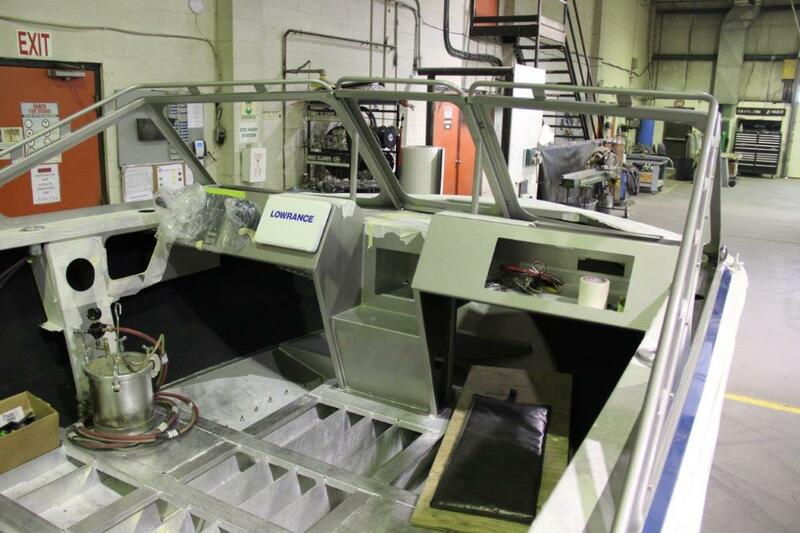 Red-Line Power Craft will be seeing this Completed boat in their showroom next week. 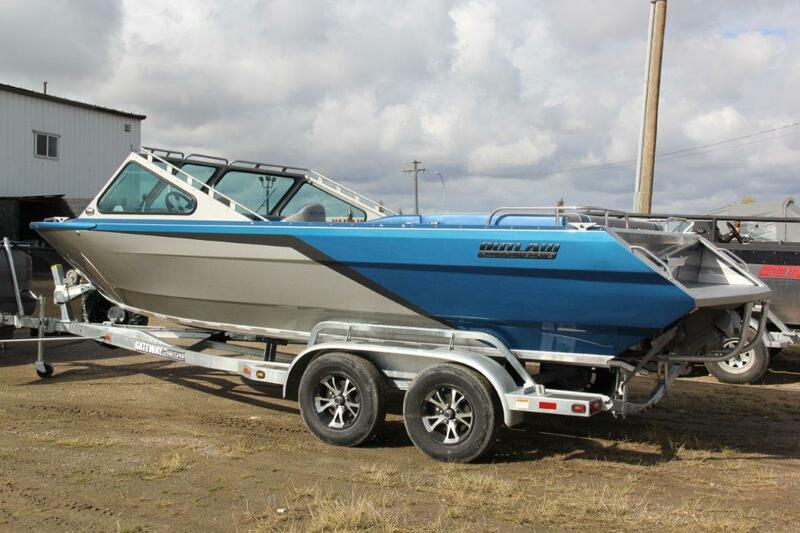 Pictures and video just don't do it justice so you'll have to catch it in person.